I have been working on my health and wellness with Kesta for the last 3 months. I have always struggled with consistently working out and eating healthy but also was very critical of myself and tended to look on the negative rather than on the positive. Working with Kesta has helped me to change my mindset. For me it was always all or nothing. It has helped me to see that it’s ok to forgive yourself for skipping that workout when you really didn’t feel like it or when you ate that pizza and ice cream. 😊 Tomorrow I will run and I will eat the veggies and shrimp. It’s not all about exercise and eating either. I’ve been able to work on getting better sleep and to appreciate what I have and what I do. Focus on the positive and the little things and they will add up to a big difference in my lifestyle change. I just wanted to take a moment to thank you for helping me with my running journey! A year ago, I never thought I would be to the point where I am, not just physically, but my whole mental mentality has started to shift. I no longer try to worry about the number on the scale and the size of my clothes – rather, I focus on getting stronger and feeling physically fit. I don’t feel like I would be at this point without your support, encouragement, and belief in me. Your positive energy is infectious. Thank you for including me in your running family and thank you for always believing in your runners. I may not be the fastest runner, and I probably never will be, but I am okay with that. I look forward to my running time; I’m alright running alone – but it is so much more fun running with friends. – E.W. I started running in June 2014. Having never ran before I started out slow with Kesta’s plan and it was perfect! I never felt discouraged because every increase in time/mileage was never too big that I couldn’t conquer it. I ran a couple 5Ks and in March I ran my first without walking once. Then, in May, I did my first 10K. In June I started training for my first half marathon with her help. Again, Kesta’s plan never felt like too much that I couldn’t do it. She customized it for me and tweaked it as my training went along depending on various factors. While Kesta’s plans are great, they are nothing compared to her enthusiasm and encouragement during the journey! There were days when I just felt bad or felt that the run didn’t go well, but she’s always there checking in and making sure you never give up. There’s no way I would have made it this far in my running journey without her! I finished my half marathon and am looking ahead to more races! – S. H.
Have you ever thought about being a runner? Do you think you can’t run, too old, too out of shape, never enough time. ….Let Koach Kesta be your coach!!! I met Kesta earlier this year at a 5K and I knew immediately I wanted her to be my running coach. She is encouraging, supportive and extremely knowledgeable. She communicates through emails, texts, provides a personal training plan and one on one training. Since working with Kesta I have been able to run a mile without stopping and participated in my first 10K! Next year I will participate in a half marathon with Kesta’s help and training program. 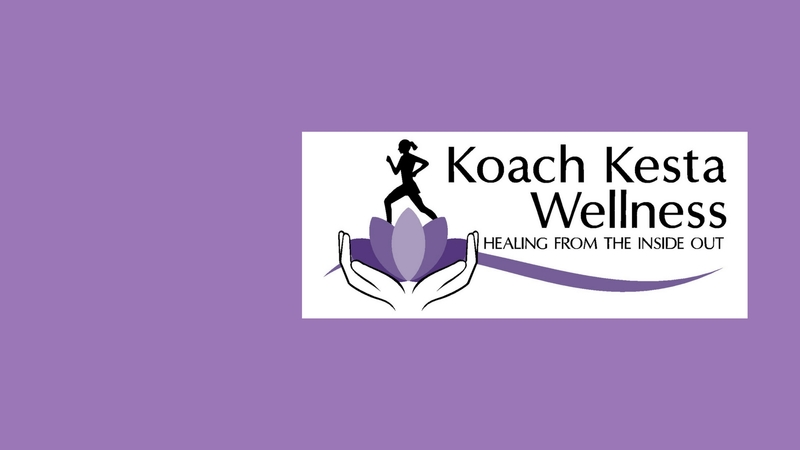 I would recommend Koach Kesta, she is an incredible coach and WILL help you with your running goals! Thank-you Koach Kesta!!! – R. S.